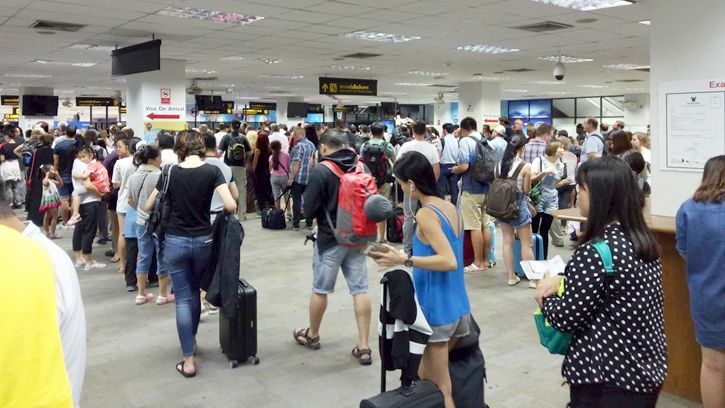 The usually long queue at the Phuket Immigration Hall. It takes about 40 minutes plus to clear at that area but the good news is, the hall is air conditioned. We just got our van services from airport to Hotel Crest and the agency offer us free ride as well during our departure back to the airport. The tour agency is good and you may need to tell them that you need a friendly driver. 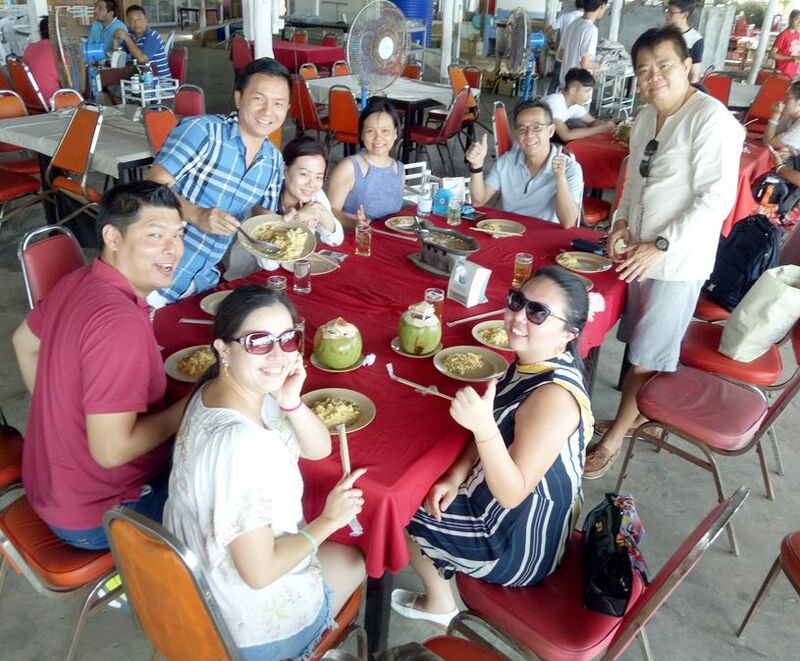 From this agency, we got our ferry ticket to Phi Phi Island and some island hopping ride and the boat ride is something that you not going to look for! 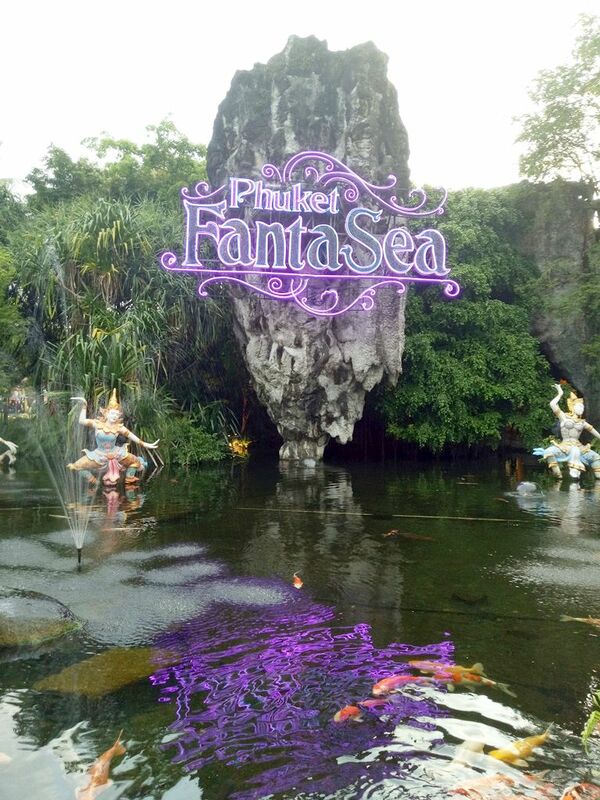 We started our trip after a short nap at hotel to Phuket's Fantasea; a dreamland cultural park with stage show. It took us 2,500 bath per pax as entrance fees. 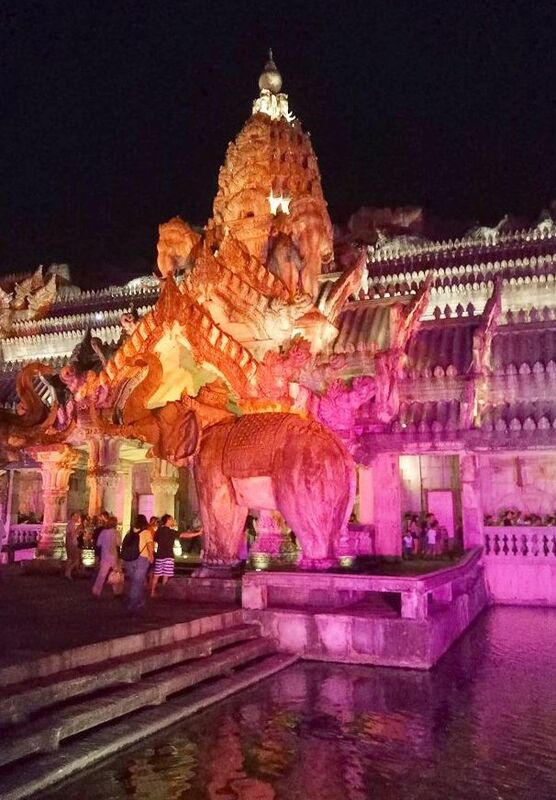 You may get a view of the white tiger, funfair, souvenir shops, cultural show and a buffet meal at the Golden Kinnaree restaurant. For me, no more second time as I'm not a fan of cultural shows. 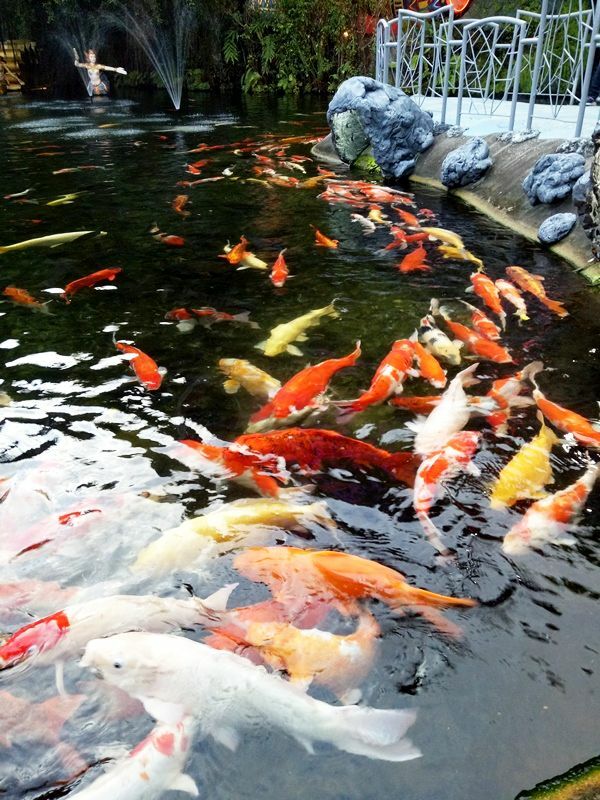 At least this Koi Fishpond at Fantasea did not disappoints me as it has plenty of Koi fishes stood by in welcoming you at the entrance. 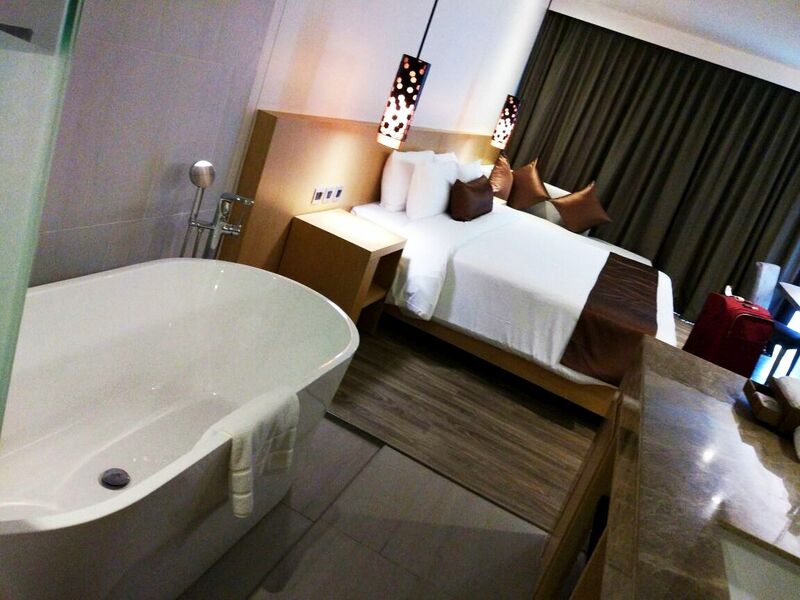 The pursuit of happiness when your body is extremely tired and the nice beautiful bed and tub shower is awaiting for you. The hotel's room provides FOX movies, super cool aircond, comfy bed and a JBL alarm clock speaker (http://www.jbl.com/home-speakers/JBL+HORIZON.html) which is yet another heaven on room feeling! For day 2, we are on shopping spree at the wrong place. The superb brand items at King Power Duty Free Shop are fine but the pricing are not fine to us as most of the brands cater to big spenders (mostly from China: http://www.kingpower.com/en/store/phuket-complex).) Anyhow you can have Thailand made products which are far more affordable than those international brands! 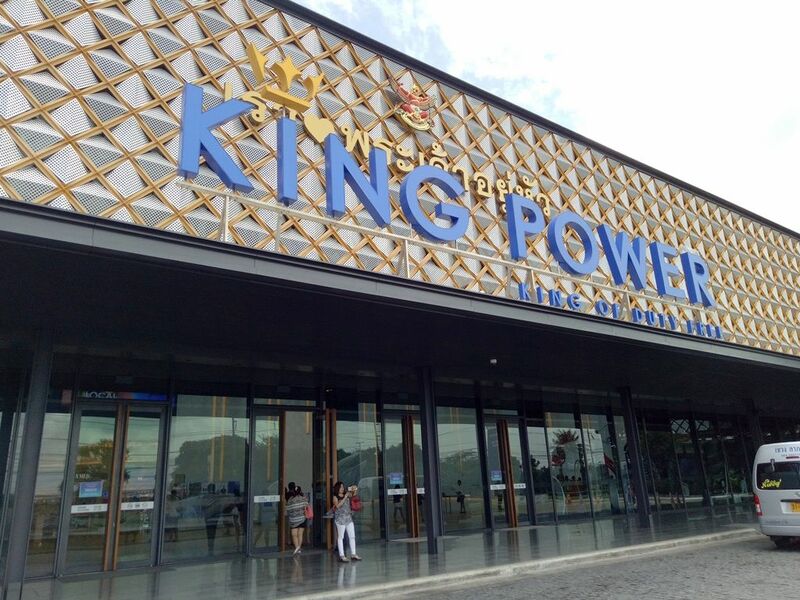 Remember to bring your passport along if you are going to shop at King Power. 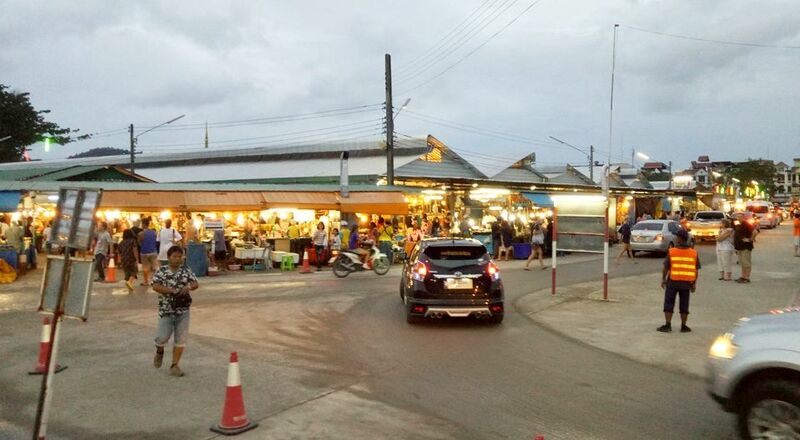 The Phuket Night Market at it's best as you can find alot of affordable souvenirs, speakers, fashion, diving gears, glorious food and bla-bla- bla at the market. The only hiccups for us are super crowd, ugly toilets and poor air ventilation. Please watch out on your belongings here and children as it's easily to get lost over here. 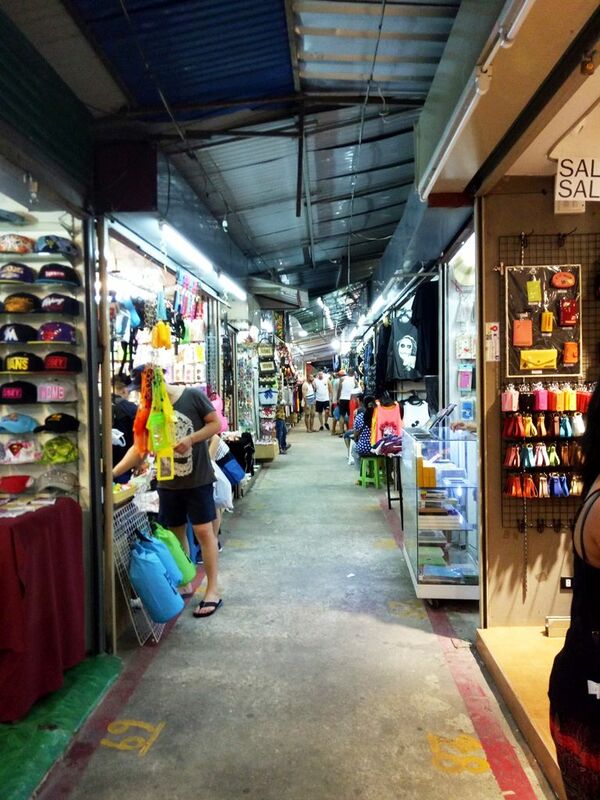 The interior walkway of the Phuket Night Market. It's almost endless walkway as your eyes will be getting very busy in hunting things that you like from speakers to almost everything..the product imitation at it's best! We did a street foot massage at 250 bath for 1 hour at the night market. Worry not as the skills are almost at it's best compare to those air conditioned foot massage. FYI, Thai foot massage parlours are almost every where at Patong and Phuket's town area, so do drop dead to massage anytime if you need. 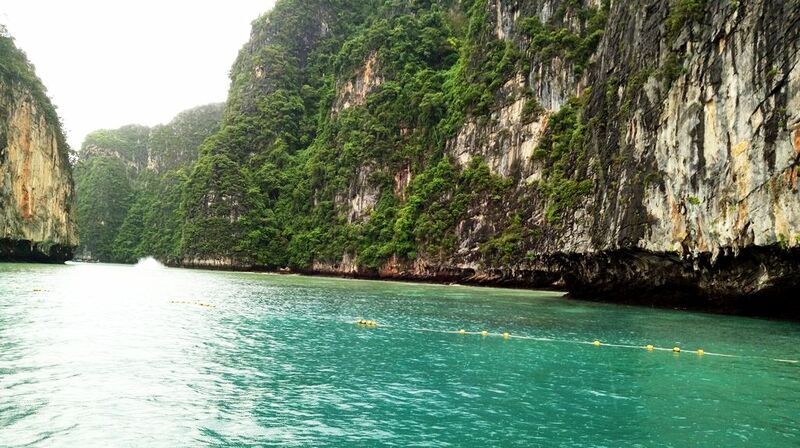 My dreaded out-to-sea trip to Phi Phi Island and island hopping. This is the tour ship company which is bringing us to go out. 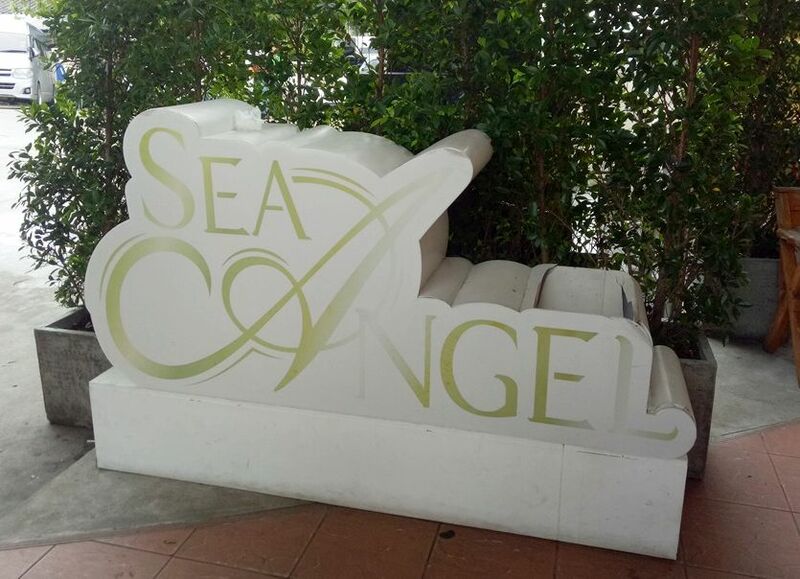 Before, we start the boat trip, the so called Captain will pursue us to rent flip,googles set or even trying scuba diving and for my point of view, if you don't mind to spend a little, you can go ahead with those items as they are consider not too overcharged. Remember to have your nausea pills before you go!!! The nice blue sea of Phuket and we are on island hopping where all the while I'm excited but suffering from high waves and motion sickness. Btw, it's a great place for snorkeling where you can swim with the fishes but please beware of SEA URCHINS! 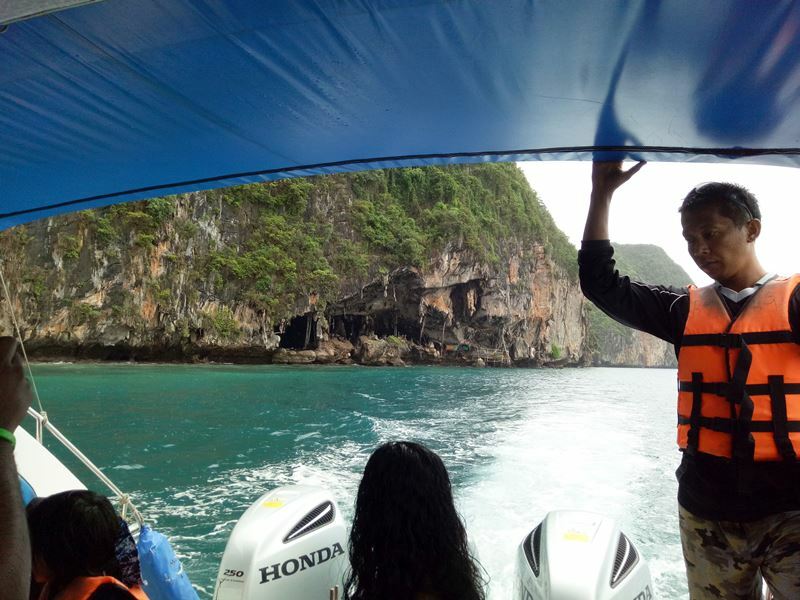 Our speedboat is well equip with 3 Honda boat engines and it's take one hour from Phi Phi Island back to mainland. The journey will not be a smooth journey for those who have motion sickness like me..and please do yourself a favor, bring along a plastic bag. 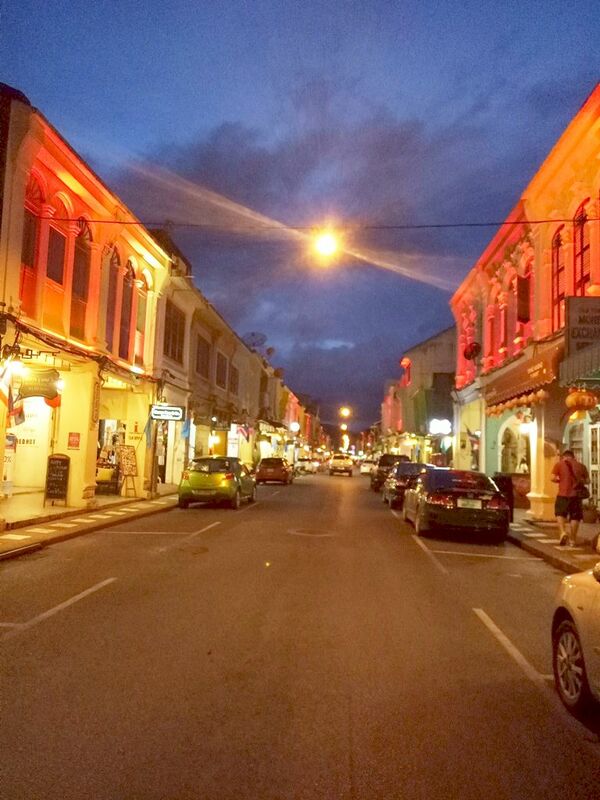 Overall, it is a must go for those who are keen on island hoping. 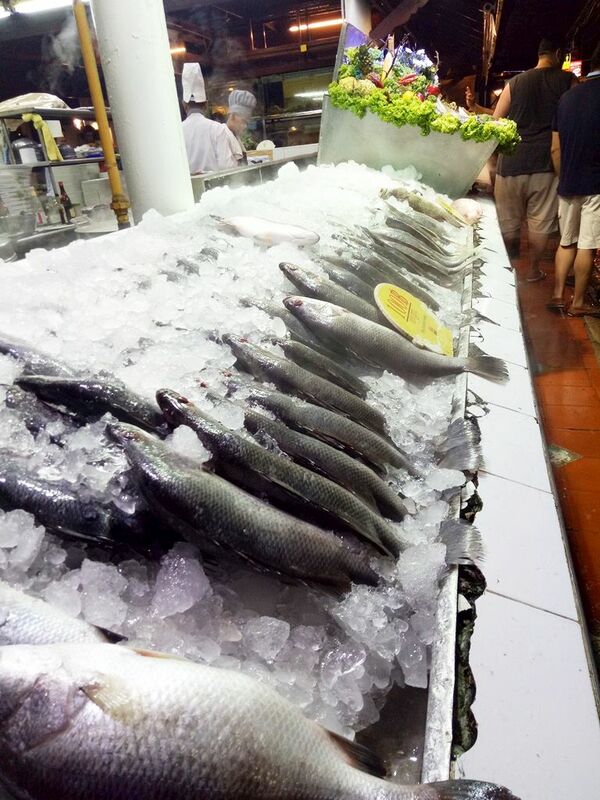 For day 3's night, after a torturing sea ride, we indulge into Phuket's famous seafood dinner where basically, you can see this type of well arrange seafood at the front of the restaurant. Worry not, as there is always a food menu for you to have reference before order and do ask on the fish's pricing before you proceed to "Yummy-ing". 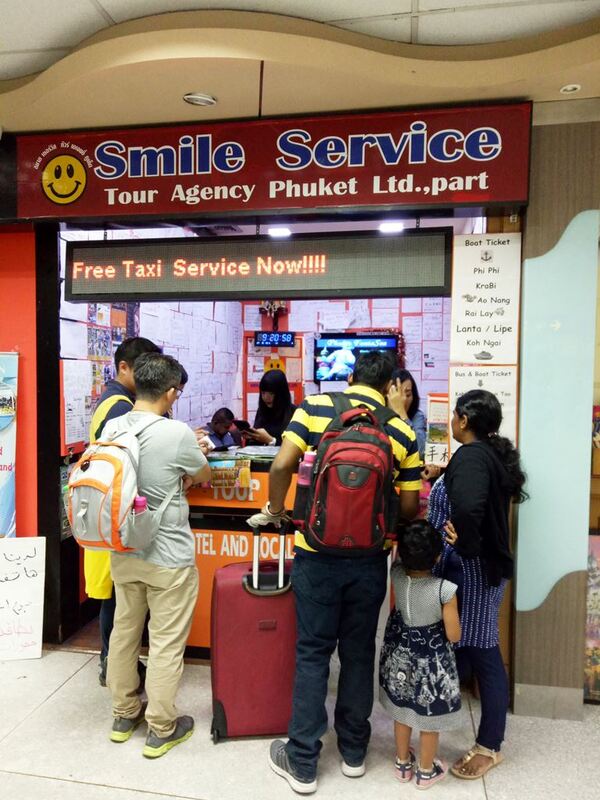 Actually, Phuket is a heaven of tailor made suits for everyone as it is cheaper and more affordable than we made in Ipoh. 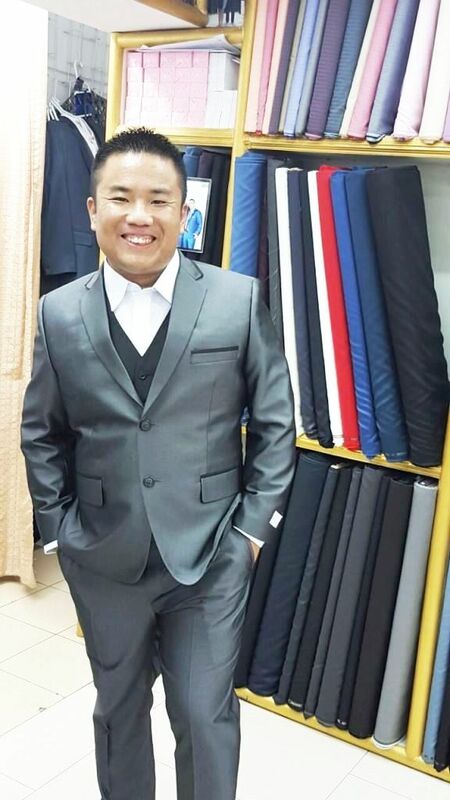 FYI, I had tailor made a set of suit consist of: 2 long sleeve shirts, a vest, coat & pants and a tie at 6,000 Thai bath. If our Malaysian Ringgit is strong, then it will be RM 600 per set! Please do not ask the taxi driver to bring you to a tailor as the price will be rocket sky high as the so-called best tailor in town according to the taxi driver charged us around RM 1, 500 plus for a set! On our day 4 a Phuket, we chartered a 12 seater van with a great driver and drives us around at Patong where we drop by at the art street. 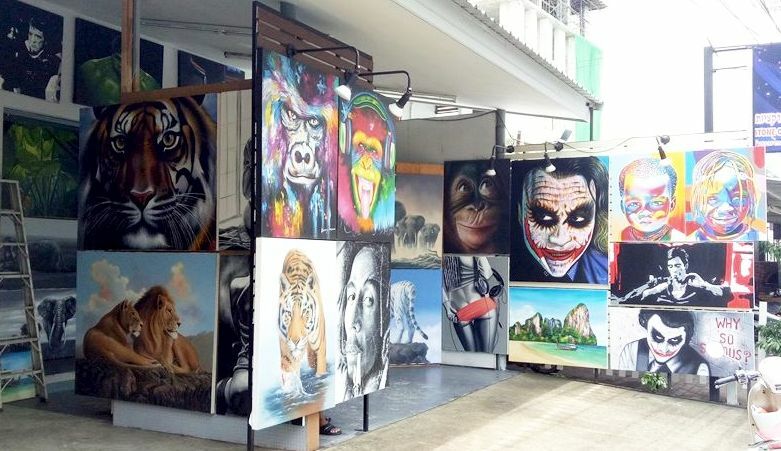 The artist in Phuket make beautiful drawings which cost around roughly 3,500 bath and it depends what size of the drawings. Overall, the drawings are quite nice especially "The Joker"! 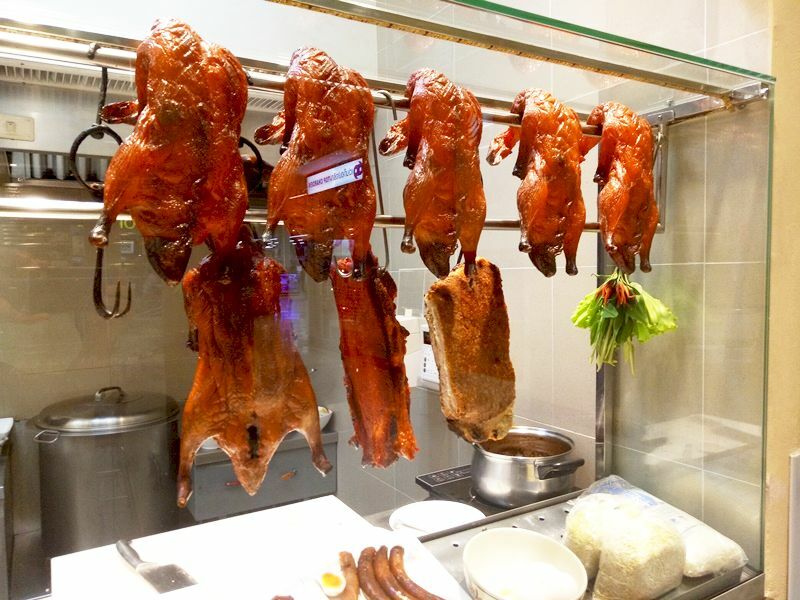 Having a snap shot at roast chicken rice stall. The colour and aroma is quite similar to our Ipoh's Hainan Chicken rice's look but I'm not sure about the taste but in Phuket, almost all the food are tasty enough! 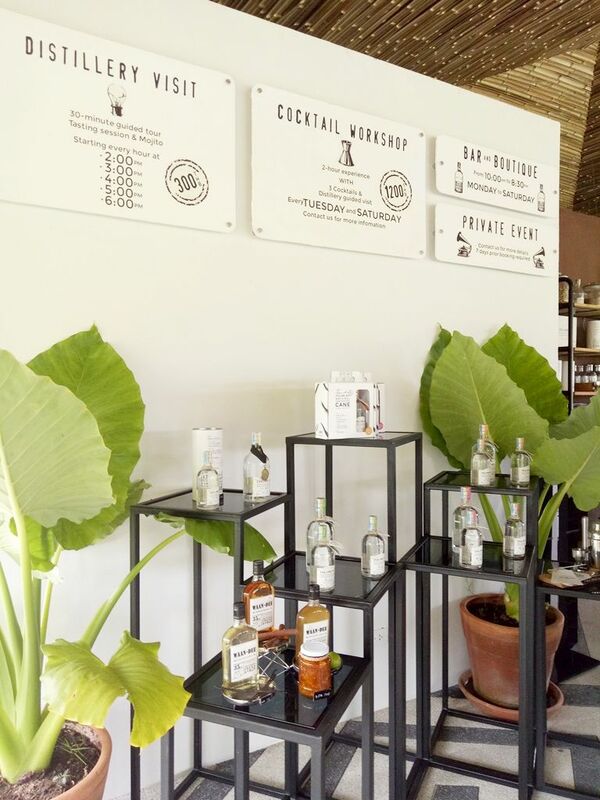 The nicely decorated at the Chalong Bay Rum factory. 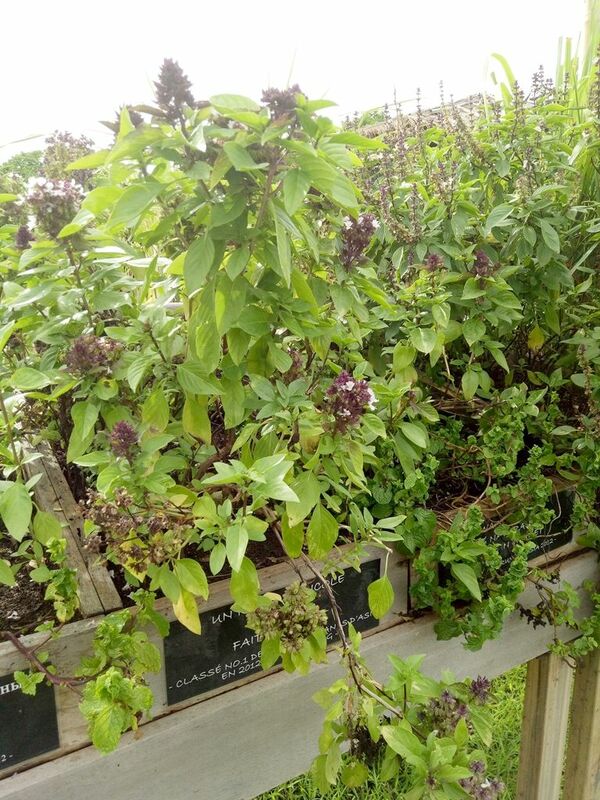 Everything can be purchased at this factory including wine making utensils and if you are thirsty, you can order rum drink on the spot for total enjoyment. Our final stop is at Phuket Chinese Old Town where you can do some local shopping on clothes, classic albums, bar, coffee and souvenirs. The shops at the street are well preserved for tourism purpose and one can read out on how Chinese starts their business at Phuket. Overall, thank you to my buddy Bro KT Goo in crafting the Phuket trip for us on 5 days and 4 nights trip. Being with my travel mates do matters to us..alamak mana Christine? Enjoying Thai coconuts and Chang Beer. 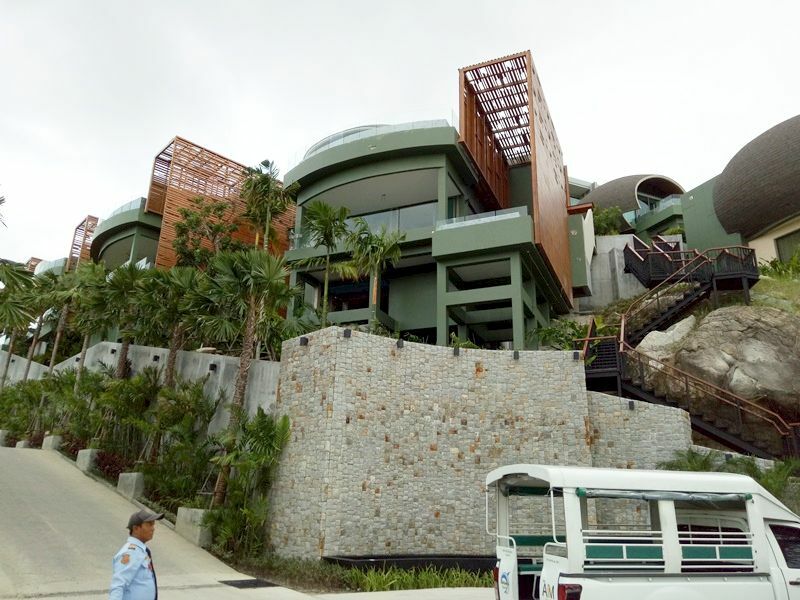 It's worth of a trip to Phuket, the heaven on earth paradise!